Merry Christmas & Happy New Year to all of our MARFC members across the state and country! May the New Year bring Safe and outstanding racing for all racers & race fans alike in 2012! 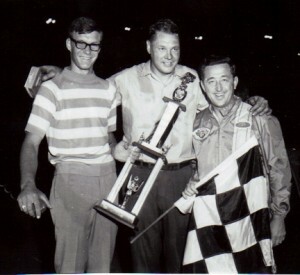 It is with sadness that we report the passing of Midwest and Michigan Short Track Racing legend Joy Fair. Joy passed away suddenly while enjoying his regular breakfast with his buddies on Saturday December 10, 2011. Joy was a legend not only in Michigan but also in the entire Midwest region as the driver of the school bus yellow #1. Joy took numerous championships at the Flat Rock, Toledo, and Mt. Clemens Race Tracks as well as one at the Sandusky Speedway. 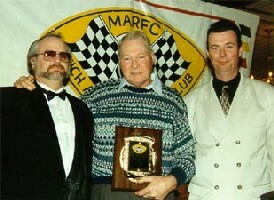 Joy was honored by the Michigan Auto Racing Fan Club for championships no less than 20 different times and was honored with the MARFC Lifetime Achievement Award in 2000. 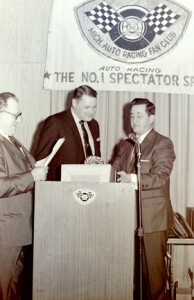 Joy was also inducted into the Michigan Motor Sports Hall of Fame in 1986 in recognition of all He had accomplished over his career. Visitation for Joy will be at the Modetz Funeral Home located at 100 E. Silverbell Rd. in Orion, Michigan 48359 (248) 317-3777. Times of visitation will be on Wednesday December 14 5-9 PM, Thursday December 15, 2-8-PM with funeral on Friday morning at 10 AM from the Funeral Home. Gods Speed Joy and condolences to the Fair family. Racing Legend Joy Fair Passes Away! 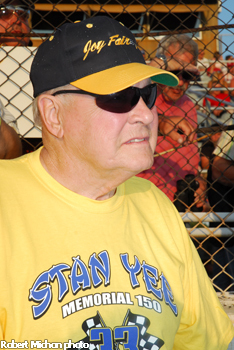 We regret to inform you that this morning, Midwest and Michigan Short Track Racing lost a legend as Joy Fair passed away suddenly while enjoying his regular breakfast with his buddies. Joy was a legend not only in michigan but also in the entire midwest as the driver of the school bus yellow #1. Joy took numerous championships at the Flat Rock and Mt. Clemens Race Tracks. Funeral arrangements are not known but when they are available, Please check our website www.marfc.org for details on Joy’s life and accomplishments as well as visitation details. The last time I saw Joy, the first thing He did was to shake my hand and proceed to tell me a joke. That is how I will remember a driver and a personality who gave so much to so many of us just by being who he was. He was one of my heroes and I will always remember the sights and sounds of the school bus yellow #1 showing everyone the fast way around the race track. Another great Children’s Christmas Party was had by all who attended! 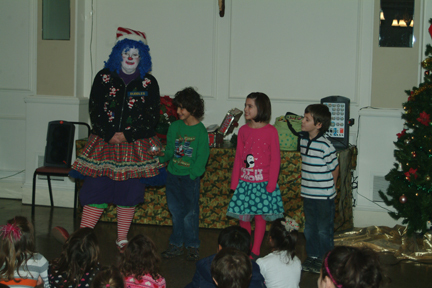 With nearly 30 children young and old with their families all enjoyed a grand time with Bubbles the Clown who gave a magic show and made animal balloons for all, and a very special visit with the big man in the red suit. 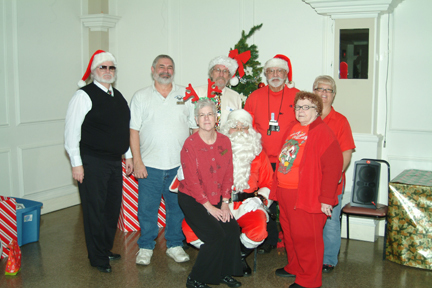 Each child received a great gift from Santa and each went home with a door prize also. Lunch was provided to everyone attending and we thank all who made this event possible.